Yesterday, Theresa May announced her plan B for Brexit following last week’s Commons defeat. During the speech, the prime minister said she expects MPs to reject calls for a second referendum, saying it would undermine trust in politics. The irony of that statement will surely not be lost in some. She went on to say that she wanted MPs to clarify exactly what they want on the backdrop, adding that she will not reopen the Good Friday agreement. Other key points included her saying she wanted MPs to have more say on future UK-EU deals and that the £65 fee for EU nationals applying for settled status will be abolished. She also refused to rule out extending article 50. Ultimately, plan B looks rather like plan A, which is odd given how firmly opposed Parliament is to May’s original proposals. Earlier, Downing Street said it is likely Parliament will have no second vote on Theresa May’s Brexit deal until February, thereby downplaying the significance of the vote held on 29 January. A spokesman for the prime minister said that next week’s vote was now ‘a second meaningful vote’ and the government’s motion would not give details of May’s plan to get an agreement through Parliament. With just 66 days until Brexit, time is running out for all concerned. 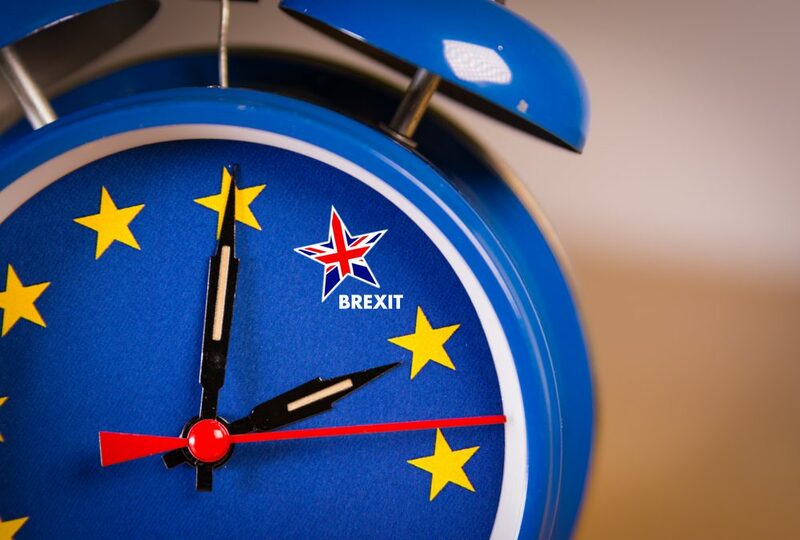 However, the decision of when to hold the next meaningful vote might well be taken from May’s hands, as MPs could attempt to amend the motion next week, which would set a specific date. On a day unsurprisingly full of Brexit-related news, Labour MP Yvette Cooper, said that much of the government, including Theresa May, privately want to rule out a no-deal Brexit, but cannot explicitly call for it because of party politics. One person who certainly does not want a no-deal Brexit is Richard Harrington, the business minister, who said exiting the EU without a deal would be an ‘absolute disaster’. He has previously said he will resign from the government if May opts for a no-deal. Late last night, we saw Labour call for a vote in the Commons on holding a second referendum. In what marks a significant shift in policy, the party has asked MPs to formally consider a second poll. The wording of the amendment did not explicitly state that the leadership would back a referendum if the proposed vote took place, but it did call for the government to hold a vote on two options: Labour’s alternative Brexit plan and whether ‘to hold a public vote on a deal or a proposition’ supported by a majority in the Commons. In its latest economic outlook, the International Monetary Fund said that a no-deal Brexit and a sharper slowdown in China are the biggest risks to growth in the global economy in 2019. The report came on the same day we learned that China’s economy grew 6.6% in 2018 – the slowest pace in 28 years. It is clear that the world’s second largest economy is slowing down, with growth at 6.4% in the fourth quarter, levels not seen since the height of the global financial crisis. The figures might serve as encouragement to reach a deal with America to end the trade war sooner rather than later. The pound had a bit of a topsy turvy day, weakening in the morning as investors expected no substantial developments in May’s plan B. It was volatile throughout the day, with a day range of $1.2831 – $1.2912. It was a similar story against the euro and as it stands, it appears traders think the prospect of a no deal are comparatively low, but there is still much uncertainty regarding what the outcome of the negotiations will be. We are delighted to announce that our latest currency forecasts are now available for you to download. Inside you will find a summary of the key events of 2018, some of the things to watch out for in the coming quarter and beyond, and the minimum, maximum and average rate predictions for the next 12 months. Unsurprisingly, there is some significant disparity between what the major banks are forecasting. If you have any concerns about how best to protect your business and effectively manage your currency risk, drop our team an email at corptraders@smartcurrencybusiness.com. Theresa May delivered her Brexit plan B announcement yesterday, but in truth very little has changed since before Christmas. The prime minister assured the Commons that she would seek assurances from the EU regarding the backstop, but that has failed to materialise. Indeed, it is difficult to see what steps May has taken to win support following her crushing defeat in the Commons last week. Time is running out and the patience of MPs is wearing thin. There looks to be an increased chance of Parliament taking over, as MPs will be free to put forward amendments on the next Brexit steps. While amendments are not legally binding, if any of them were to gain majority support, then there would be significant pressure on the government to act on the will of MPs. Possible amendments could include stopping a no-deal Brexit, through to a second referendum. Some will be more popular than others, but with the government dragging its heels on offering anything new, MPs from different parties could well come together to enact real change. Today we will see the claimant count change for December, as well as the public sector net borrowing figures. The deficit is expected to have narrowed sharply. We will also see the employment change figures for October, unemployment rate for November, and average earnings for the same month. They are expected to have held steady at 3.3%. There were reports that the Polish foreign minister has proposed a five-year time limit on the Irish backstop. In theory, this could boost the chances of a Brexit bill getting through Parliament, but it would certainly require more support from other EU27 countries. As far as it is known, Poland is still the only country to have openly questioned the backstop formulation in the past too. Over the weekend, there were violent protests in Athens as thousands rallied against the proposal to rename Macedonia as the Republic of North Macedonia. For many Greeks, Macedonia is the name for the north of their country, so the name change gives implied claims to Greek land and cultural heritage. Surveys show that around 70% of Greeks are opposed to the agreement and it could yet be another crisis facing the government. It is a fairly big day for the eurozone today, with the ZEW economic sentiment indices from Germany and the eurozone. In Germany, the reading is expected to have dipped even further, to cement what has been a worrying time for the economic data from the eurozone’s largest economy.